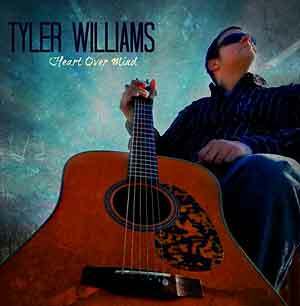 Tyler Williams is an aspiring Bluegrass singer originally from Marysville, Ohio. Tyler has been singing since he was two years old and has made guest appearances on stage with some of his heroes, including Tony Rice, Bobby Hicks, Ronnie Bowman, IIIrd Tyme Out, and The Lonesome River Band. Tyler became blind as an infant and also suffers from mild cerebral palsy, but he doesn’t let these disabilities hold him back. Tyler is currently attending East Tenn. State University, in Johnson City, where he is majoring in the Communications program and also completing a minor in Bluegrass Performance. In the Summer of 2006, Tyler and his friend, Marty Leedy, completed their first album together, Bringing It!